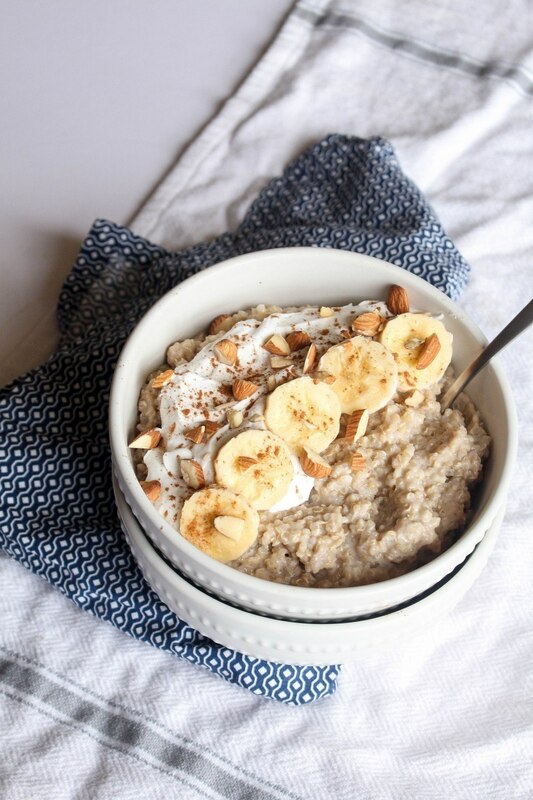 Add the mashed banana, coconut cream, almond milk, salt, and maple syrup to a large saucepan and bring to a simmer. Add in the cooked rice and quinoa. Continue to simmer, stirring frequently until the rice pudding has thickened and become very creamy, about 10-12 minutes. Remove from the heat and add in the cinnamon, vanilla, and almond extract. Spoon into bowls and serve with desired toppings.